Beitbridge residents told to use water sparingly because taps will be be dry for the next two days after Zimbabwe National Water Authority has run out of water purification chemicals. Beitbridge residents have been advised to used water wisely because taps will be be dry for the next two days after Zimbabwe National Water Authority has run out of water purification chemicals. “Beitbridge Residents. May we use water wisely. Taps will run dry for the next two days. I am told ZINWA has run out of purification chemicals and they will restore supplies most likely tomorrow or Monday,” said Thupeyo Muleya a seasoned journalist. There has been a long raging fight for the control of Beitbridge water between ZINWA and the Beitbridge Town Council. The Zimbabwe National Water Authority has been clutching onto Beitbridge water despite its glaring inefficiency and open rejection by residents. 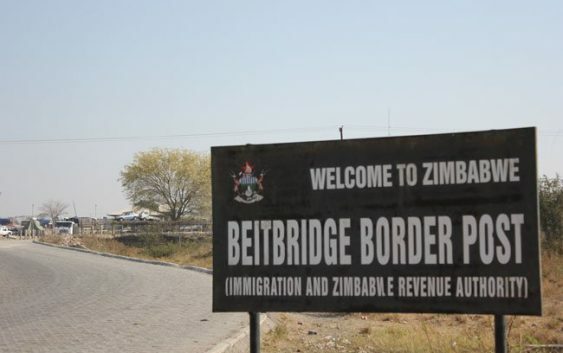 In 2017 Beitbridge was haunted by acute water shortages after Zinwa introduced stringent distribution measures to force BTC to pay a $12 million debt. In response, council wrote to central government for authority to take over the water supplies, arguing Zinwa put money ahead of human life. MUSINA – Five Zimbabweans died Saturday morning following a collision between a Toyota Quantum mini-bus they were traveling in and a Sable Class coach between Musina and the Border Post in South Africa.